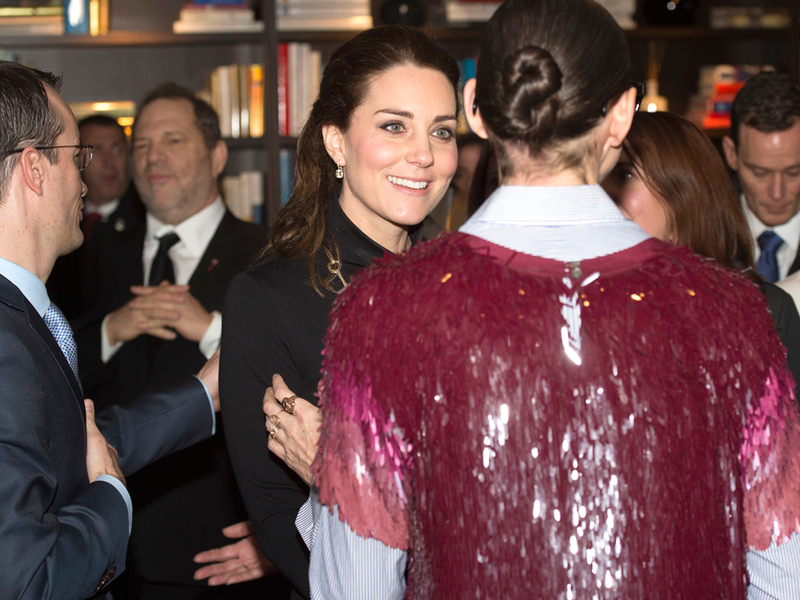 The Duchess of Cambridge met all sorts of people during her tour of New York: Beyoncé, Harvey Weinstein, Patrick Stewart… Prince William even hung out with Barack-freaking-Obama. But none of them seemed to phase Her Royal Highness. That was, until, J. Crew’s creative director Jenna Lyons graced the royal couple with her unimitable coolness. 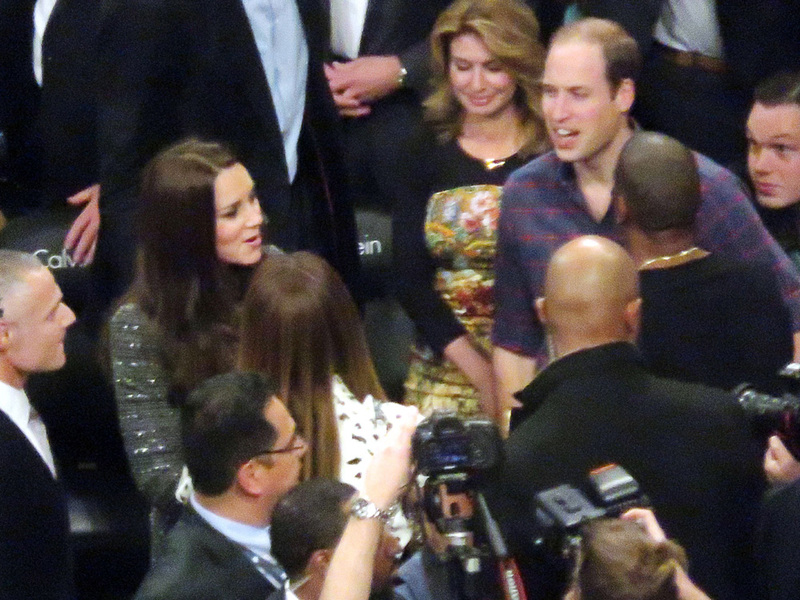 The footage of Kate Middleton meeting Beyoncé and Jay Z at the basketball game in Brooklyn was underwhelming at best. It was all too civil. A few polite handshakes and it was over. Nothing more than a photo opportunity for all involved. But, it didn’t look that way when K-Midd was introduced to Jenna Lyons at the Creativity is GREAT Reception hosted by NeueHouse in Manhattan. Hell no. The Duchess, wearing a black polo neck Seraphine maternity dress and statement necklace, looked ready to explode when she was chatting to the fashion star, with the two seeming to enjoy a good, old gossip. 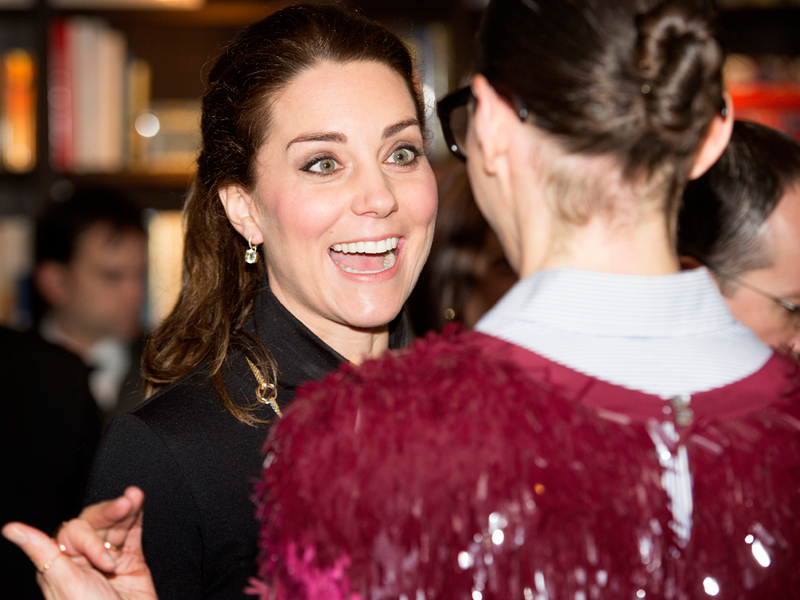 Jenna Lyons: the only person to make Kate Middleton lose her cool, like, ever? We bow down. Want a bit of what Ms Lyons’ got? These are her 4 tips for success.